Hoodia Gordonii Absolute™ has gained the reputation of being the most recommended product for weight-loss around the world. It is successfully tackling overweight and obesity to help people lead a healthier lifestyle. Hoodia gordonii is a cactus plant that grows primarily in the deserts of South Africa and Botswana. Hoodia gordonii used to be the staple diet of the San Bushmen in the Kalahari Desert. Even though the plant closely resembles a cactus, it is highly succulent and effectively fights off hunger. Hoodia Goordonii Absolute™ is an extract of the pure hoodia goordonii from the Kalahari Desert. 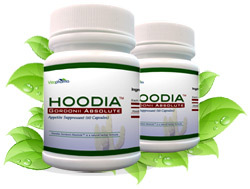 Hoodia Gordonii Absolute™ is the natural way to fight weight-gain and it uses its appetite suppressor properties to restrict the user to just the right quantity of food. Moreover, it provides long-lasting results with NO side-effects at all. How Hoodia Gordonii Absolute™ works? Take 1 capsule twice a day with a glass of water before main meal. Extensive research had ensured that Hoodia Gordonii Absolute™ doesnt possesss any short-term or long-term side-effects. Vitopharma products are the safest herbal formulations; recommended by the most experienced and prominent doctors. Satisfied customers are gaining matchless profits and reordering the product. This confirms the safety and efficacy of the product.